Love selfies and tired of your pooch being camera shy? The long awaited invention is finally here! 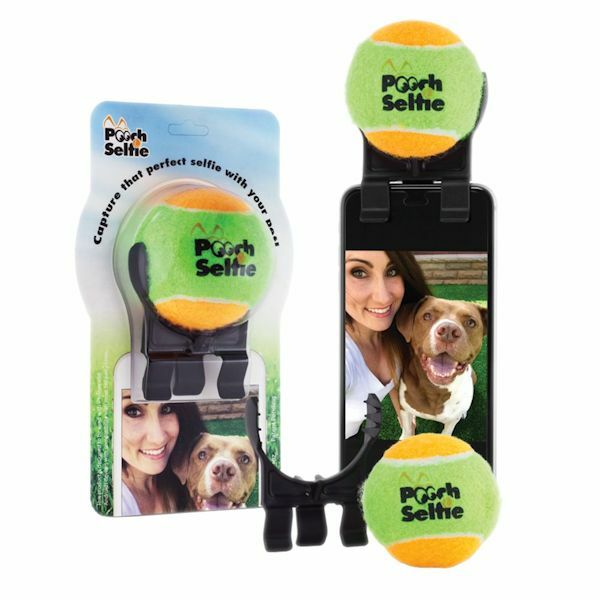 Pooch Selfie™ is the first selfie taking device which completely changes the way we take pictures with our dogs. Its unique design takes advantage of your dog’s natural draw to a tennis ball and uses this to hold their attention for a perfect picture. 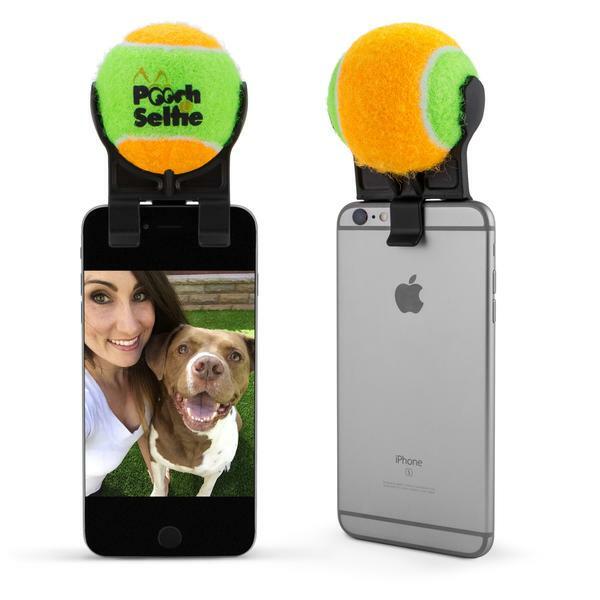 Each Pooch Selfie comes with a squeaking tennis ball and one custom smartphone attachment. It is designed for iPhones and Galaxy smartphone models and is compatible with most 3rd party cases. *Not currently compatible with Otterbox, Lifeproof, and Bodyglove cases.